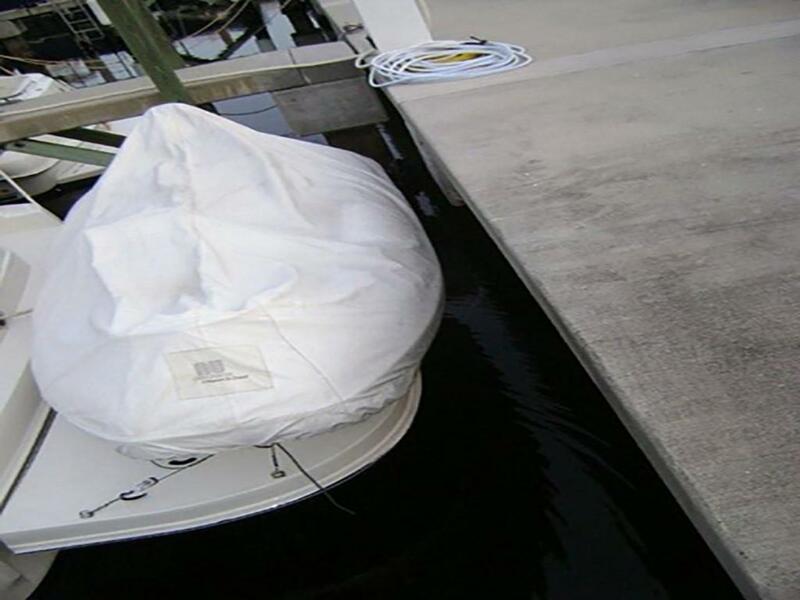 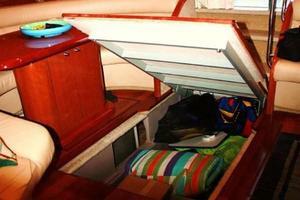 Bow Thruster and Hardwood Floors! 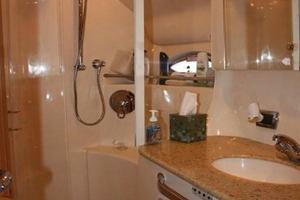 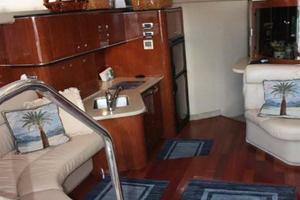 Two Staterooms! 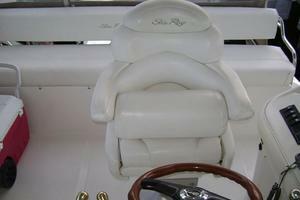 Two Head Layout! 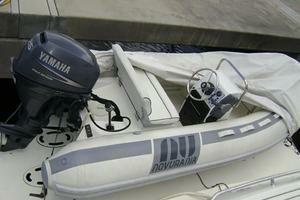 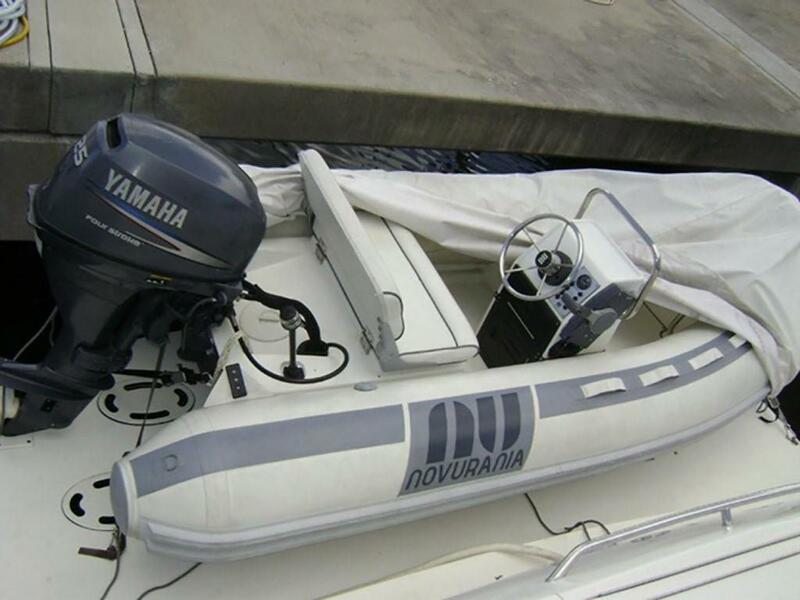 Novurania Dinghy/Yamaha 25 HP! 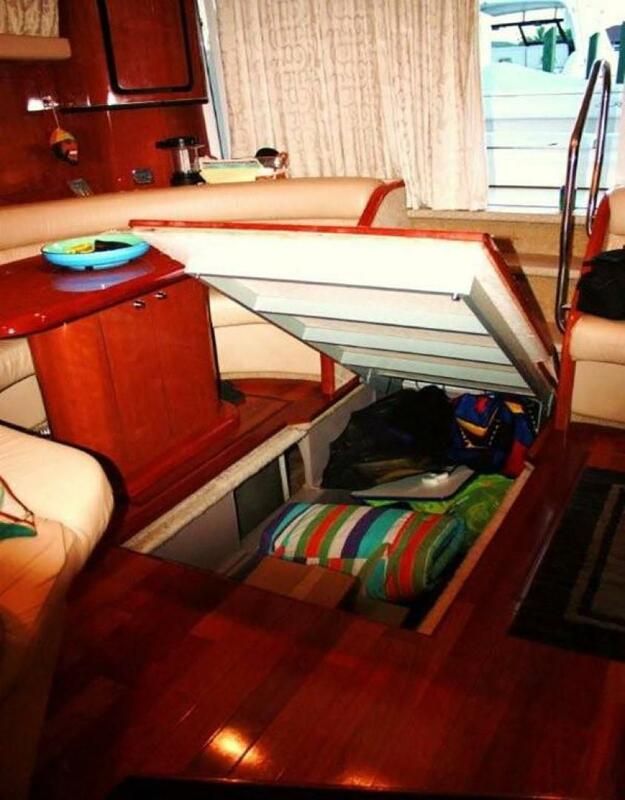 The 450 Express Bridge gives you more seating, more entertaining and more sleeping accommodations than you ever dreamed of. 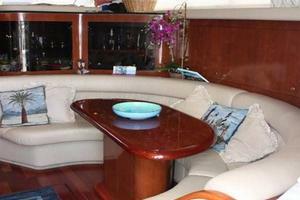 In fact, with two staterooms and two full heads, space abounds in this superbly designed 45-foot sport yacht. 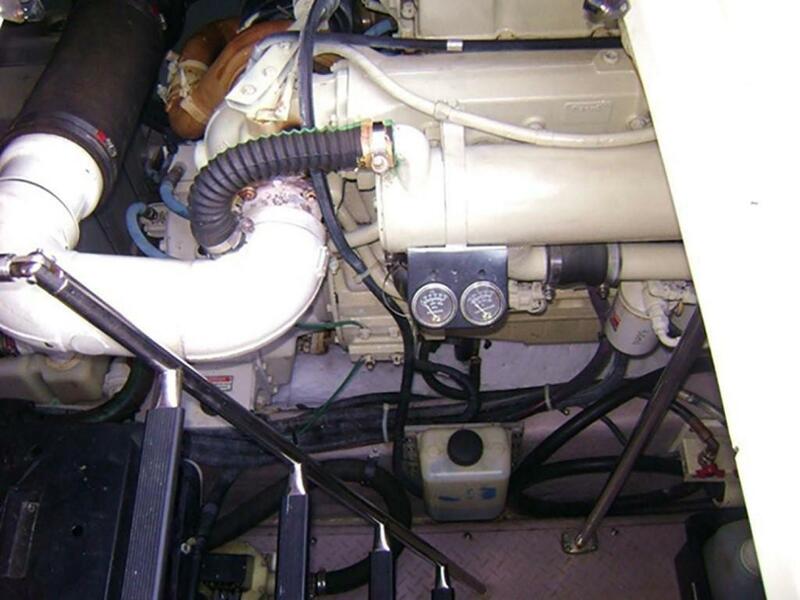 Twin Cummins engines take you to your destination quickly and smoothly. 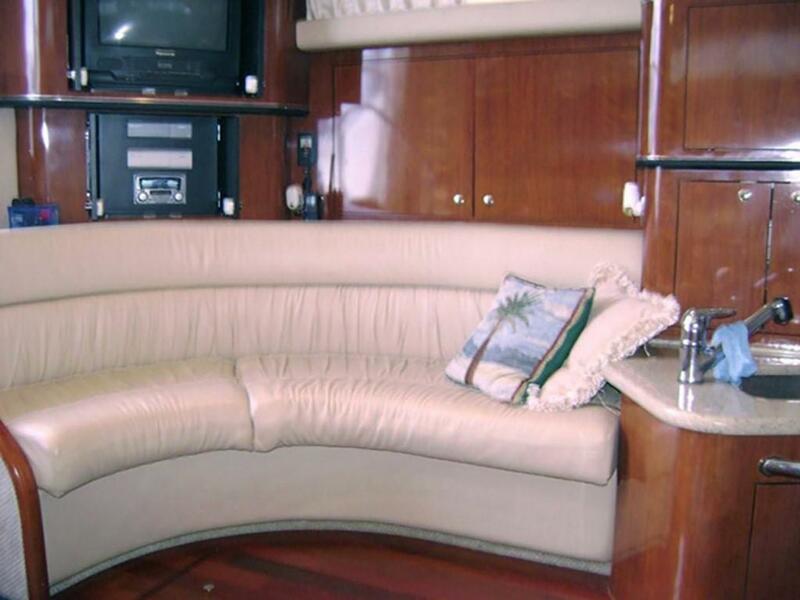 The salon sofa is a great place to relax, whether for conversation or for dining at the movable dinette. 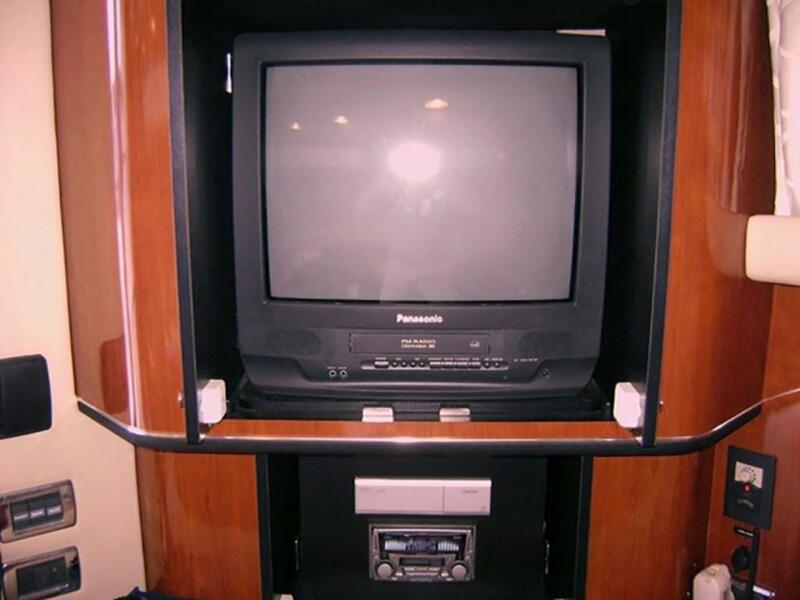 The color TV/VCR/Radio combo includes Clarion AM/FM digital cassette and single CD stereo with six-disc changer, amplifier and speakers. 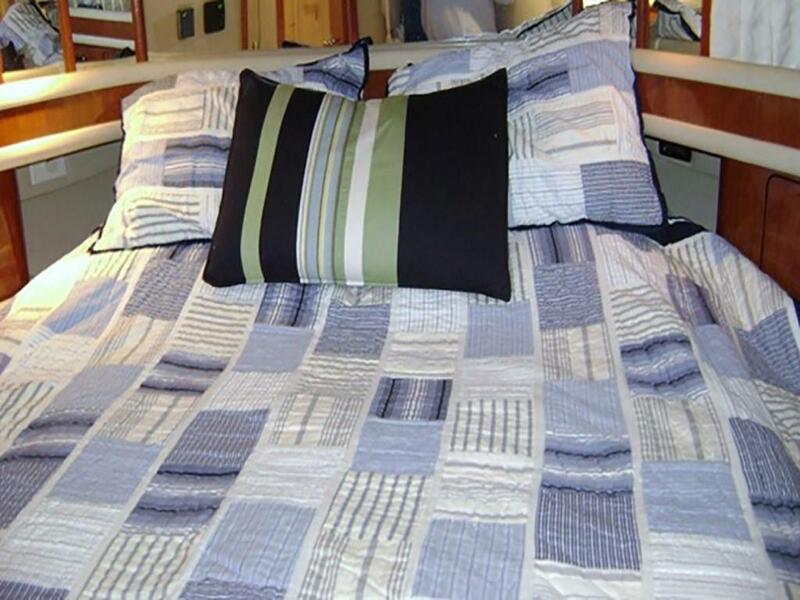 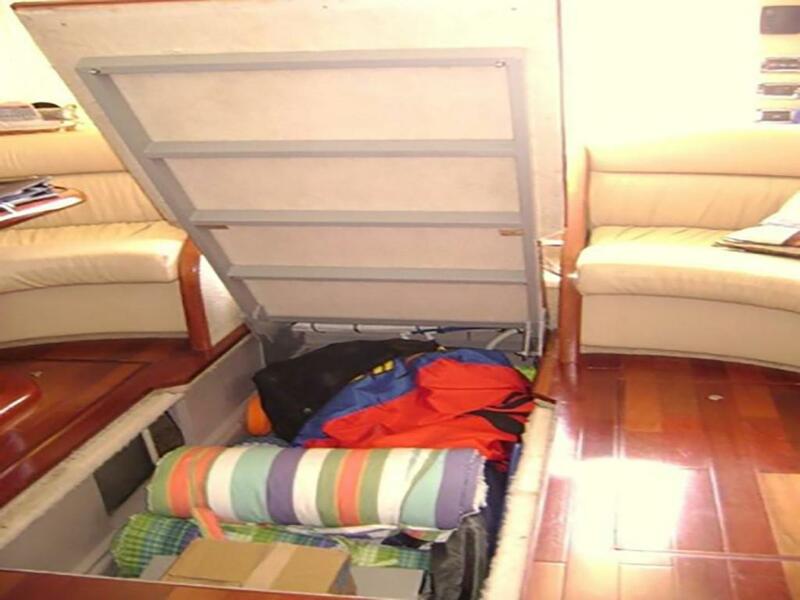 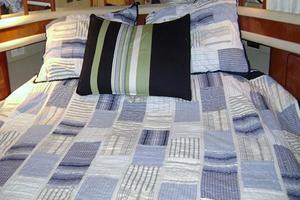 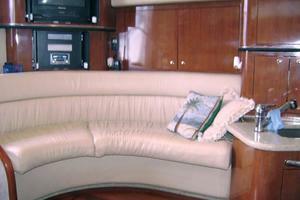 If more sleeping accommodations are needed, the sofa/dinette converts to a sleeper cushions under guest bed. 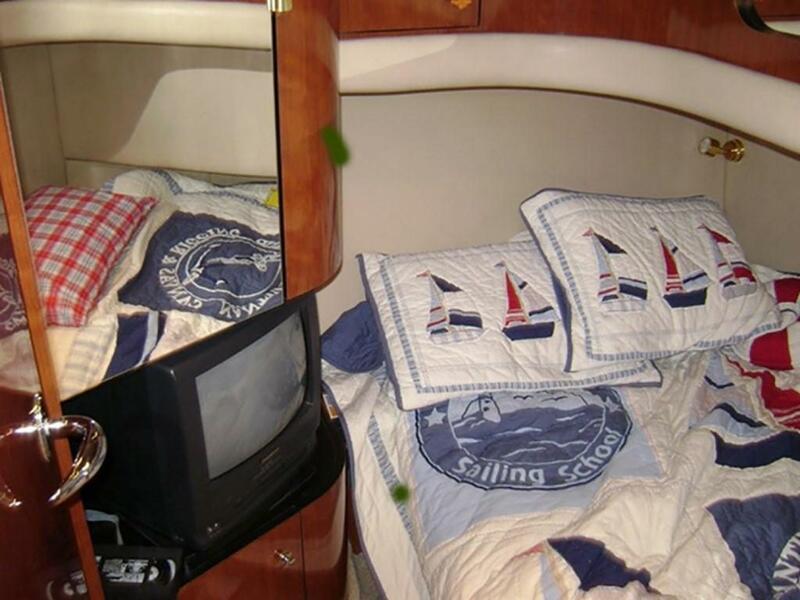 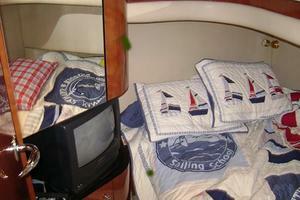 In the master stateroom, the full-size pedestal bed with innerspring mattress has its own sheets and coordinated spread. 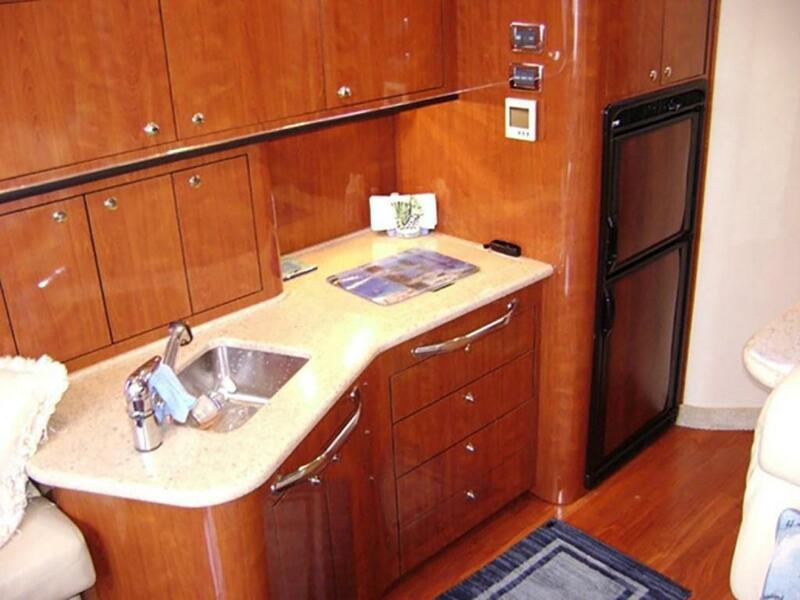 Hanging lockers with mirrored doors add to the feeling of spaciousness. 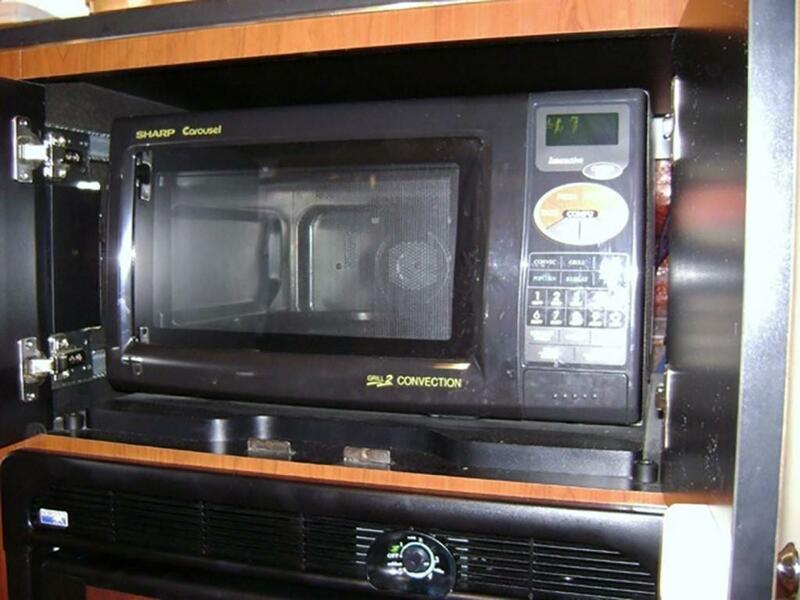 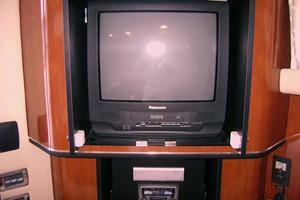 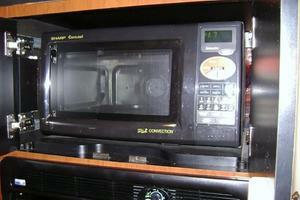 A color TV/VCR/Radio combo is built into the bulkhead. 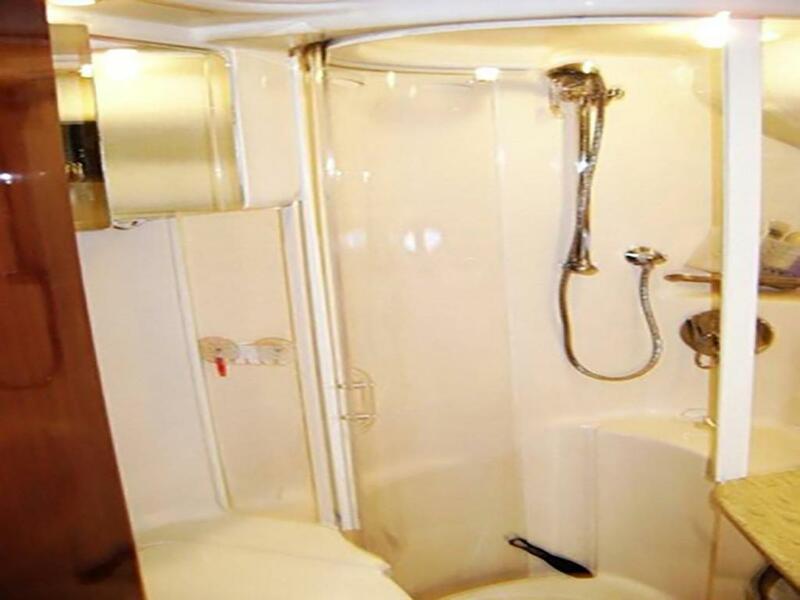 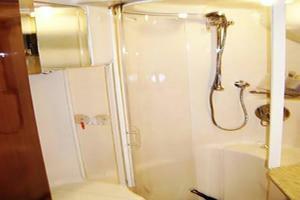 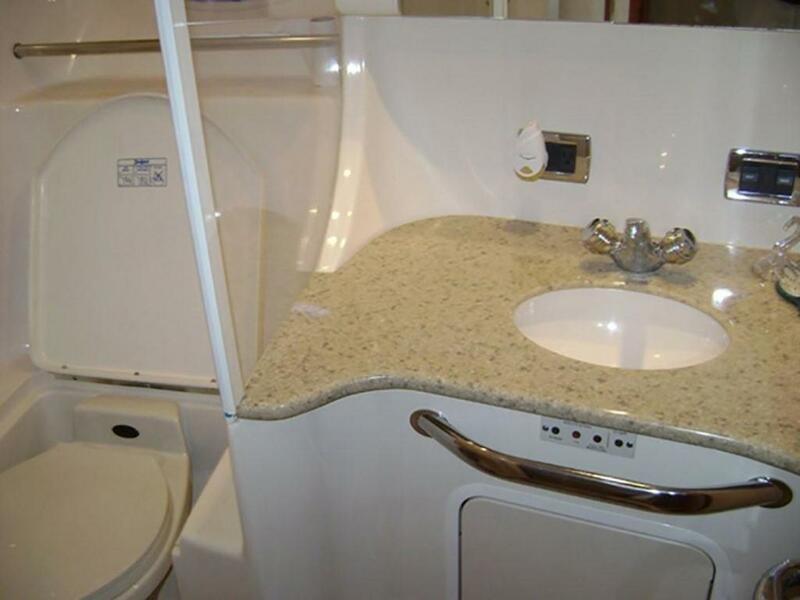 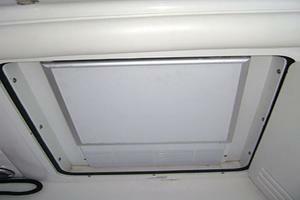 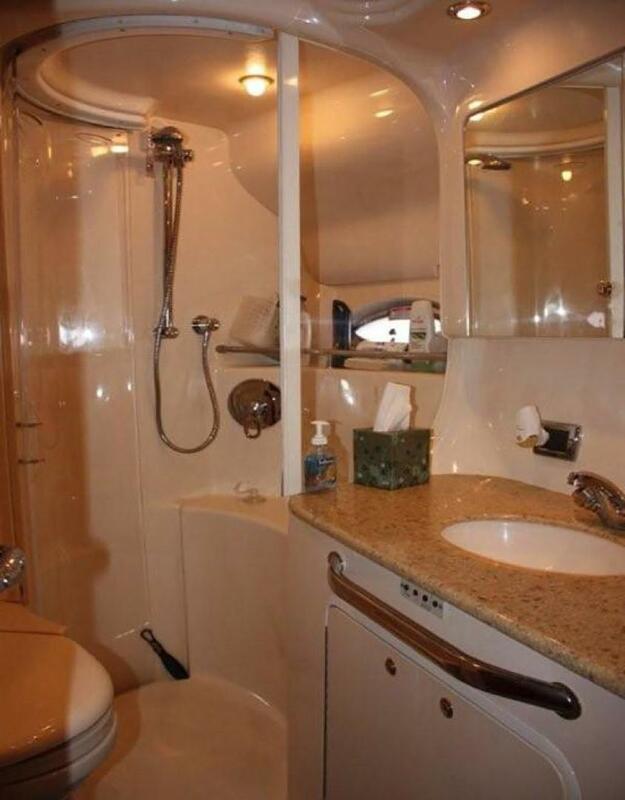 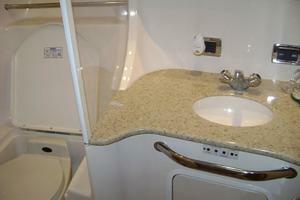 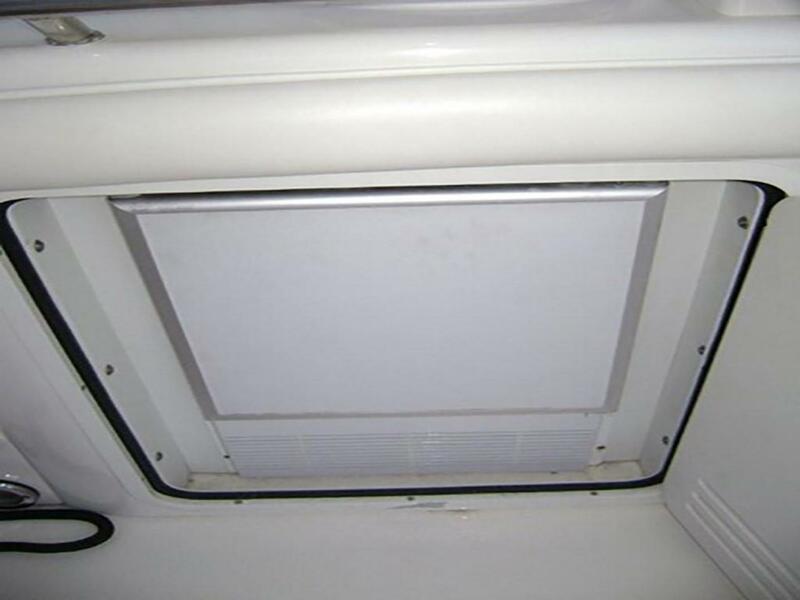 The master head has a VacuFlush toilet with fiberglass settee lid; vanity with Corian top and sink; storage and medicine cabinet; and a shower with seat, adjustable shower wand and circular acrylic door. 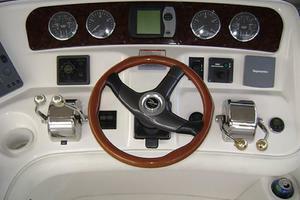 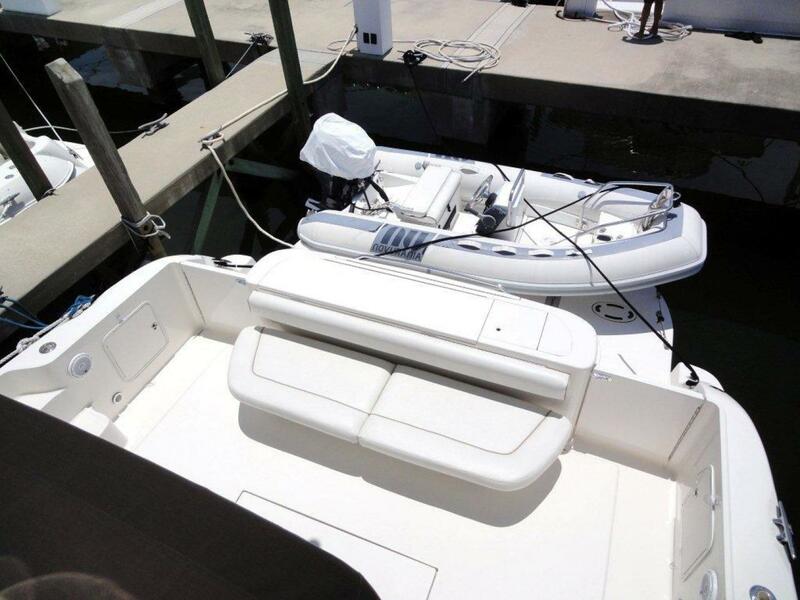 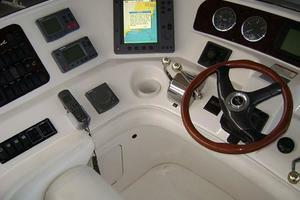 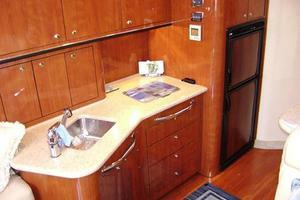 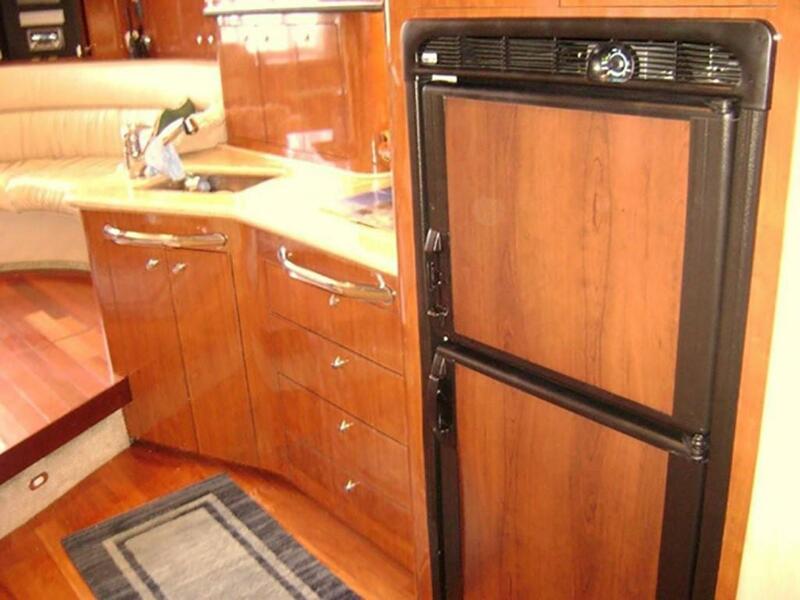 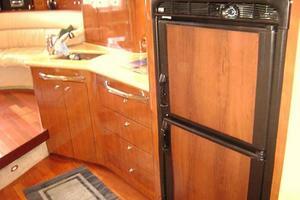 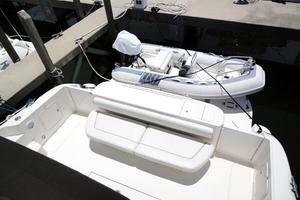 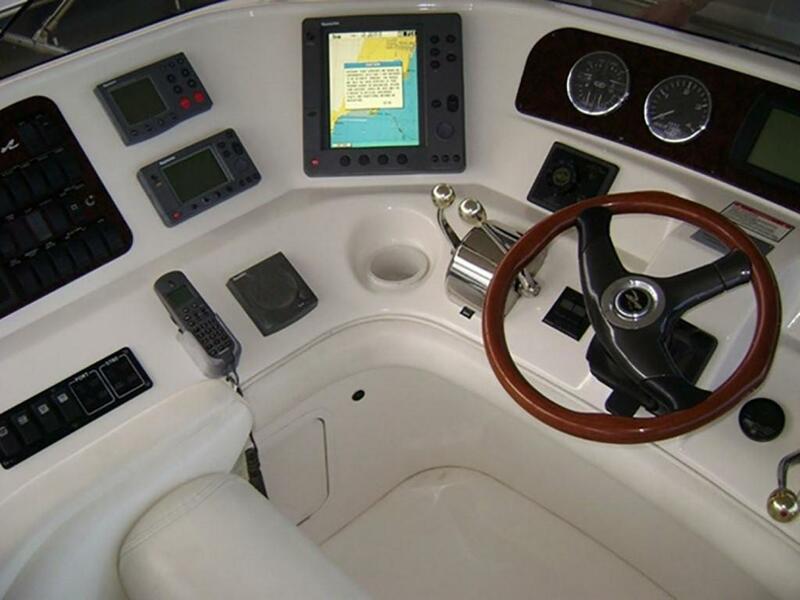 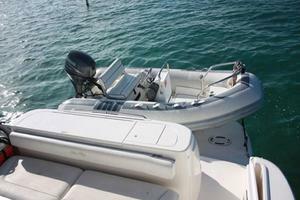 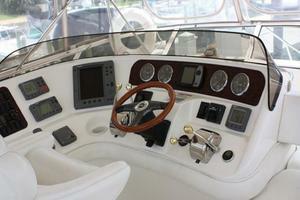 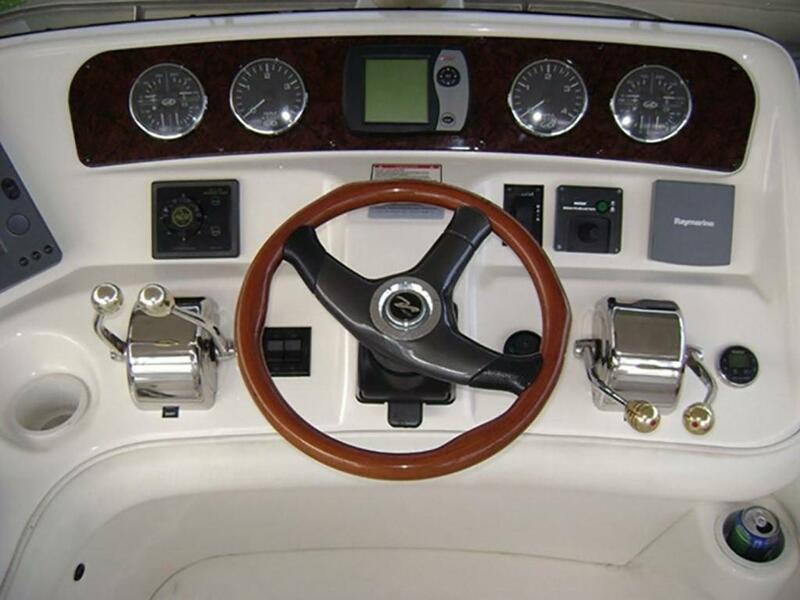 The wraparound control station is the finest ever designed by Sea Ray. 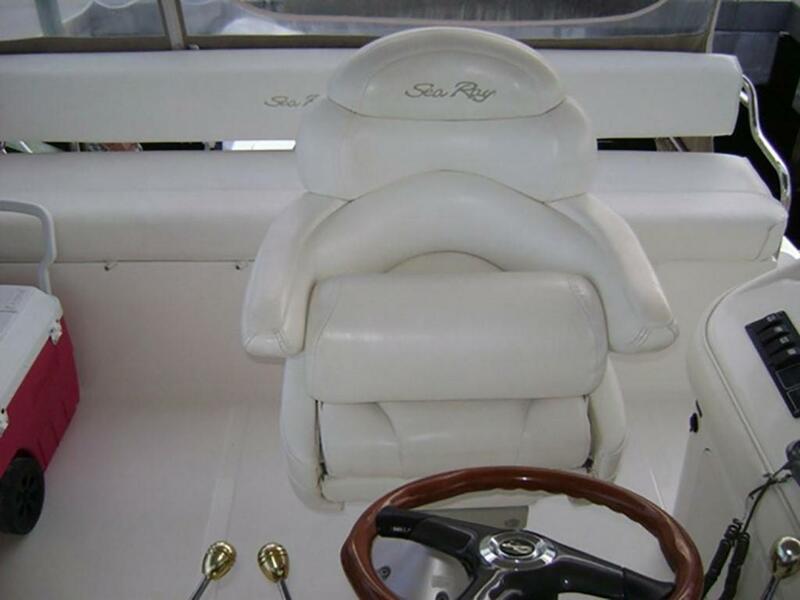 It's an ergonomic masterpiece that provides unparalleled ease of use and super visibility. 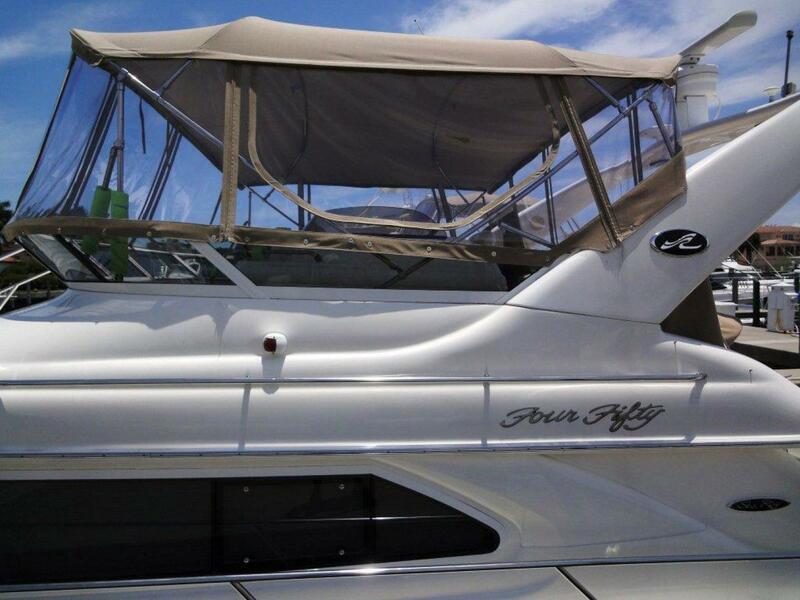 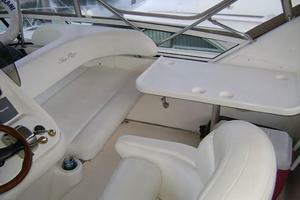 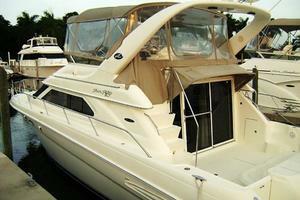 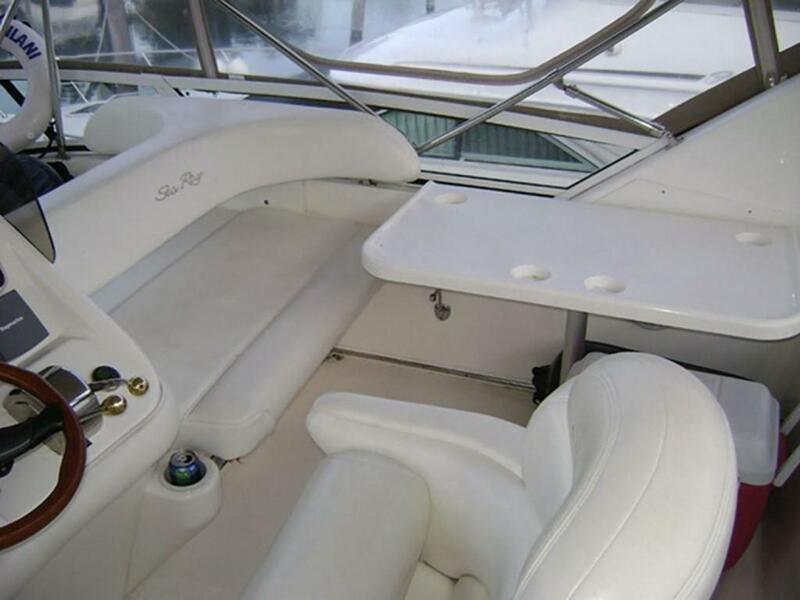 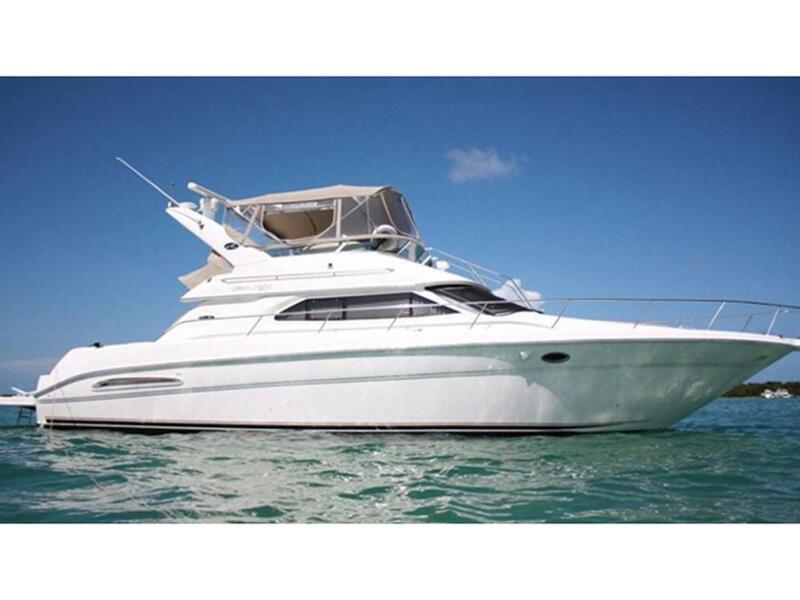 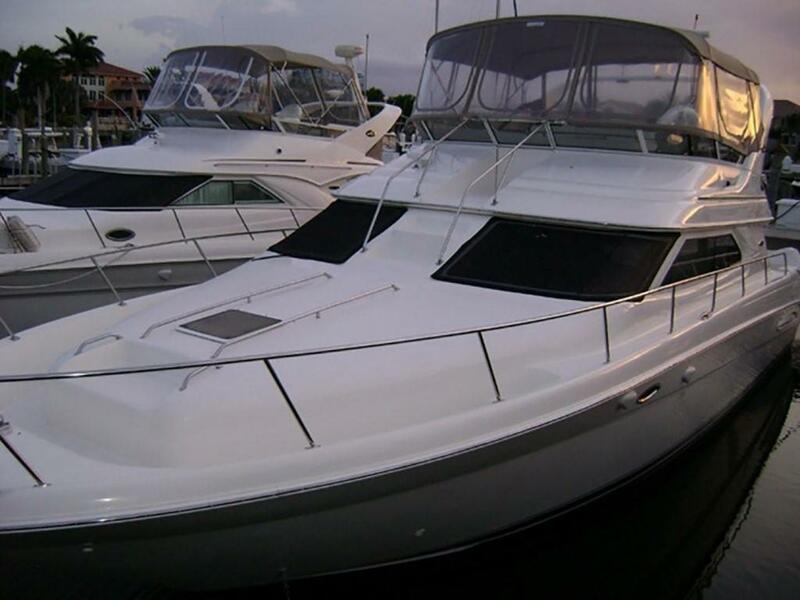 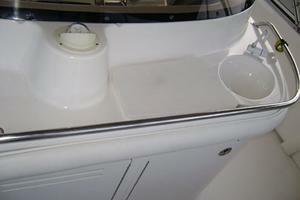 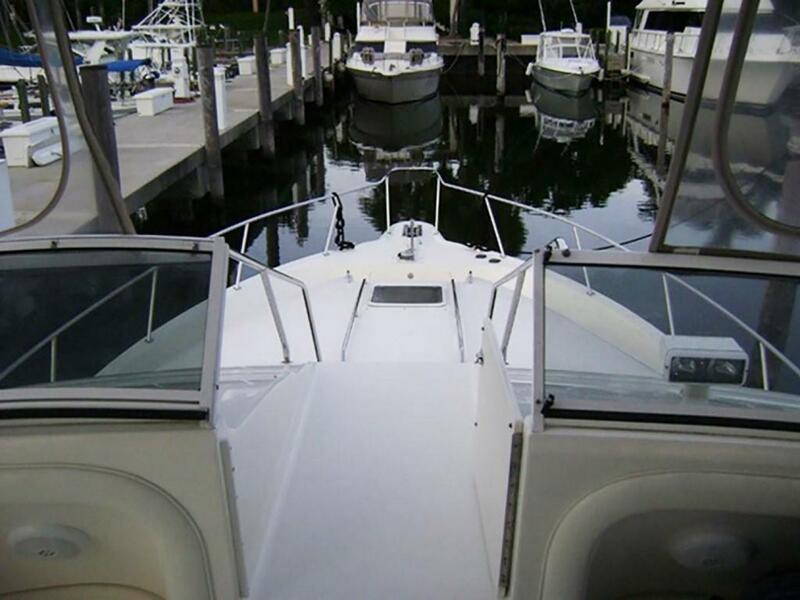 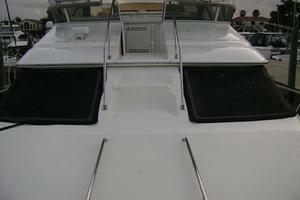 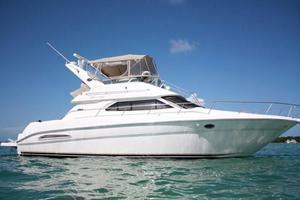 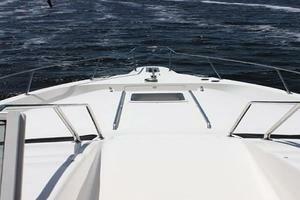 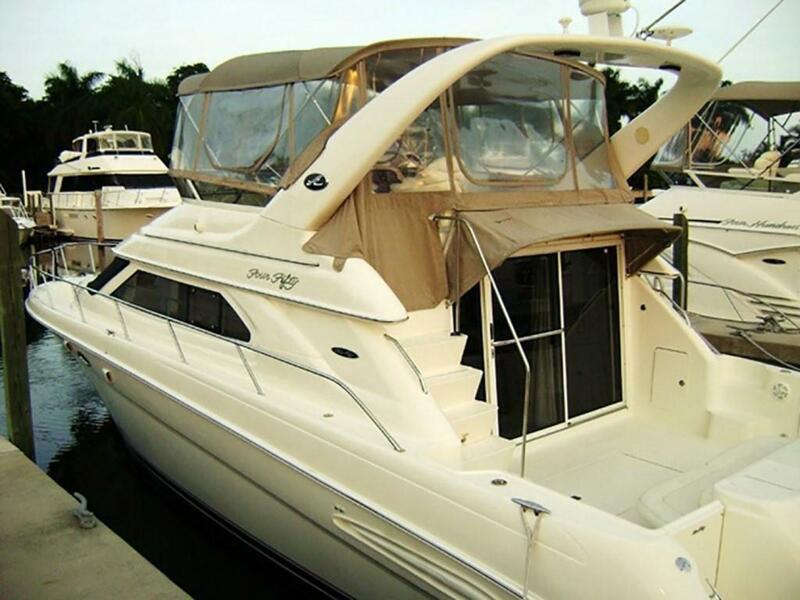 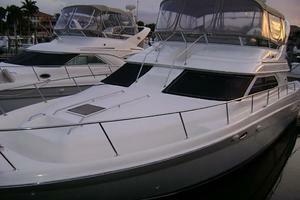 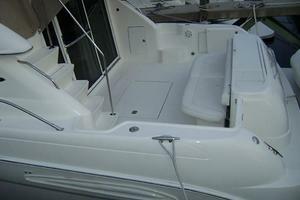 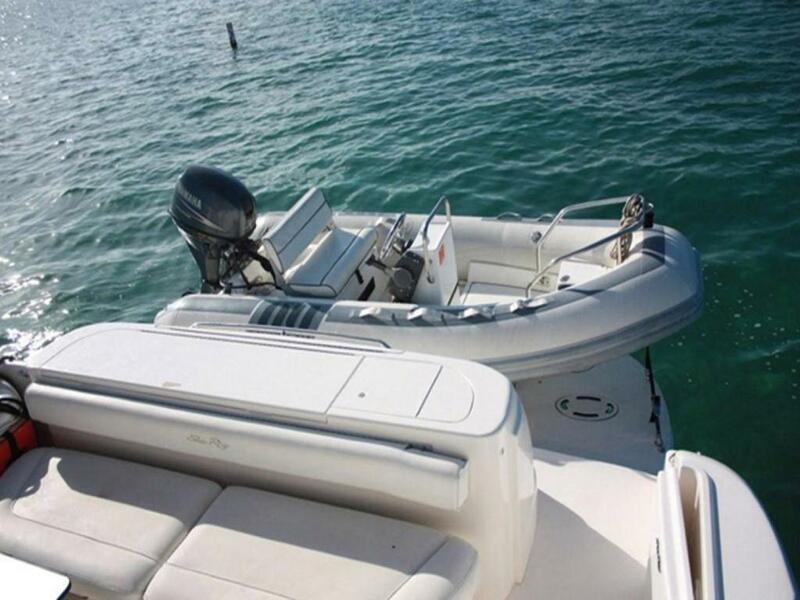 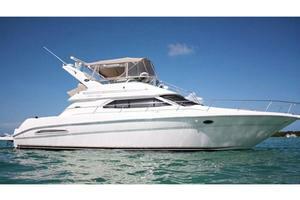 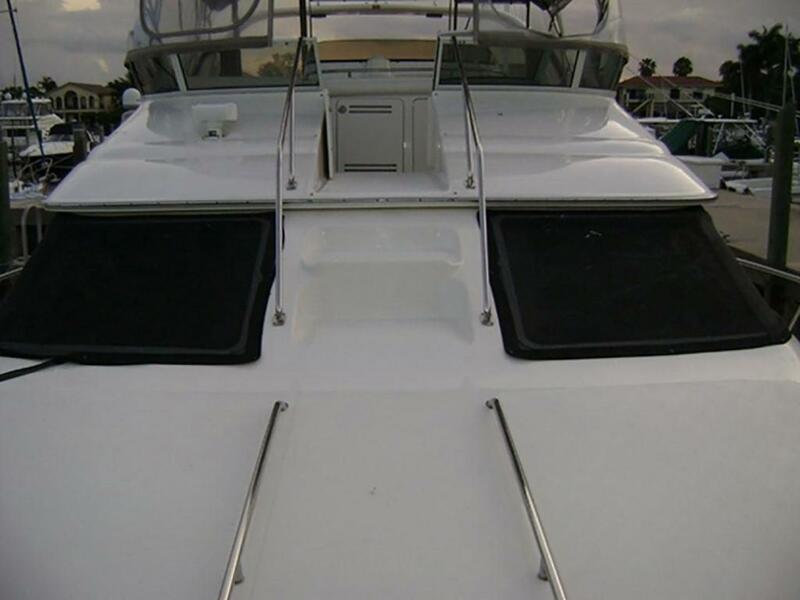 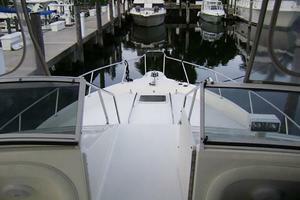 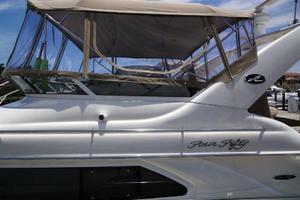 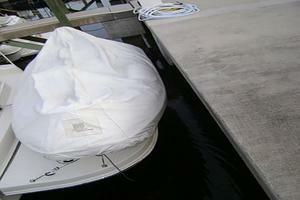 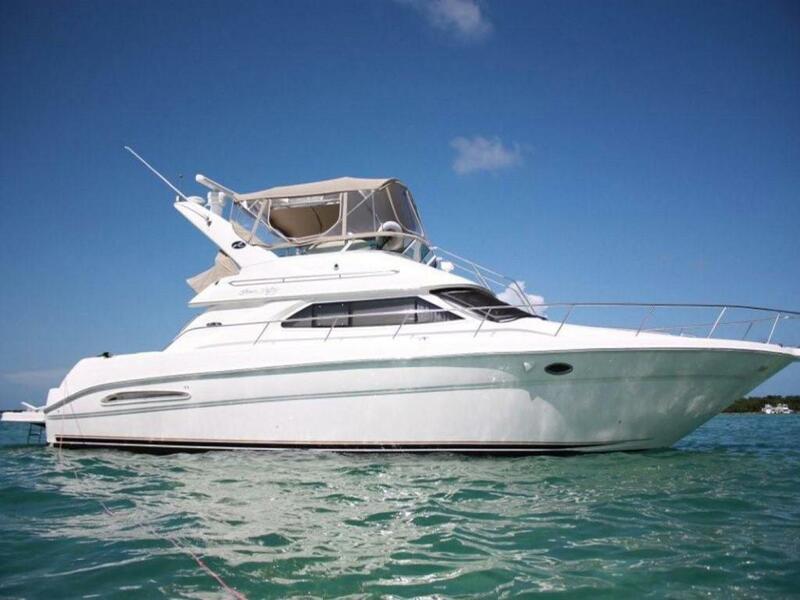 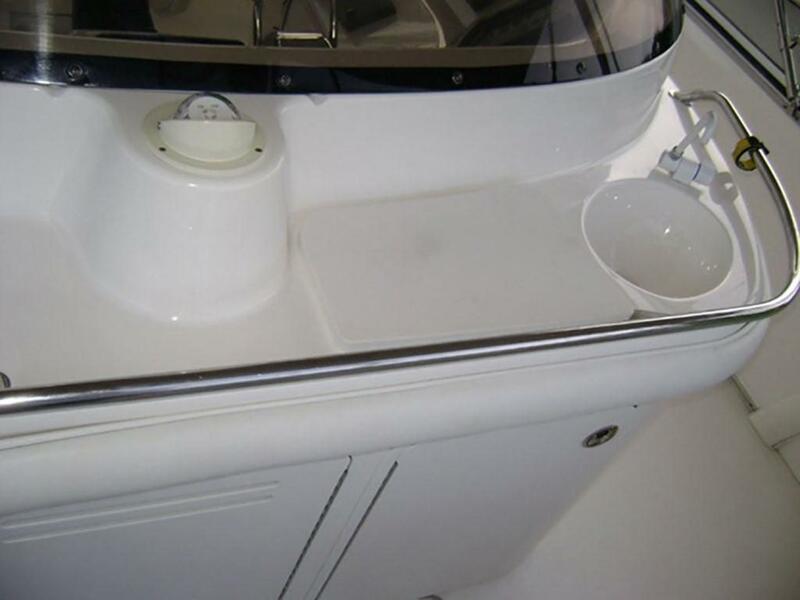 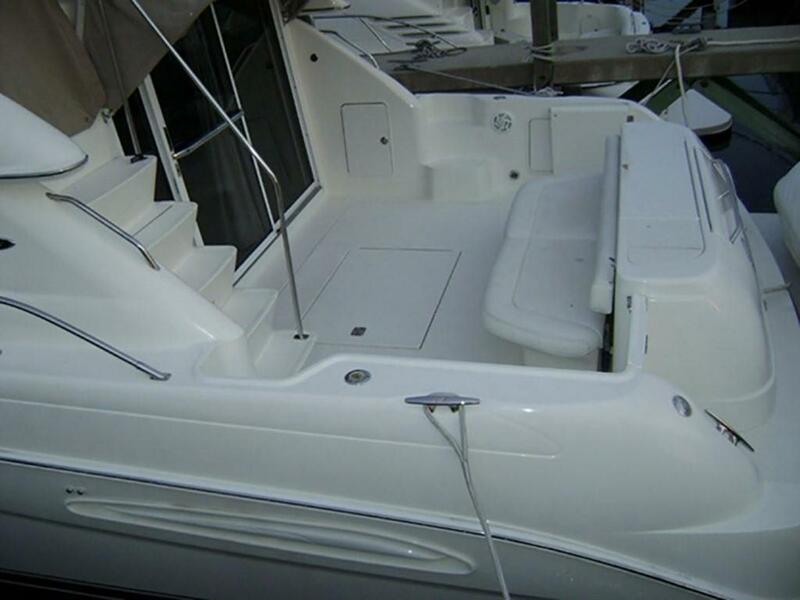 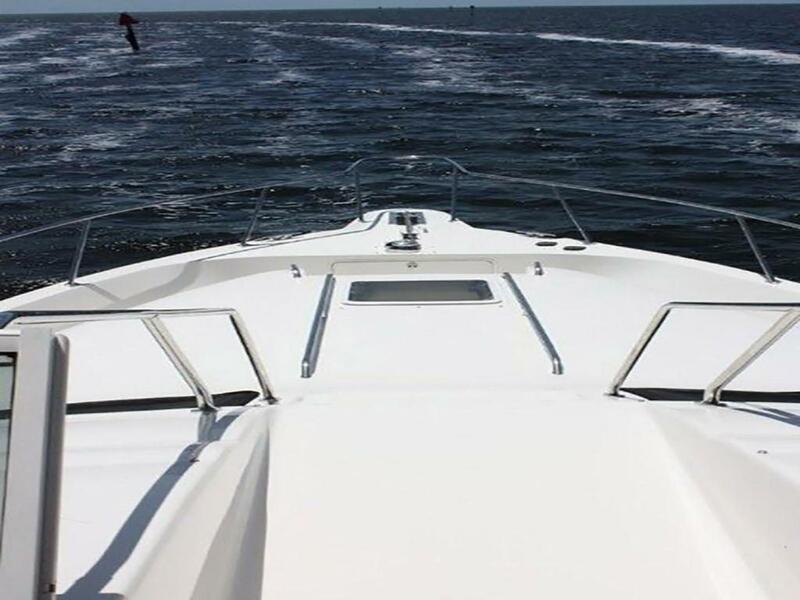 Vessel well maintained shows very well, looking to sell or trade to acquire larger Sea Ray Sedan Bridge. 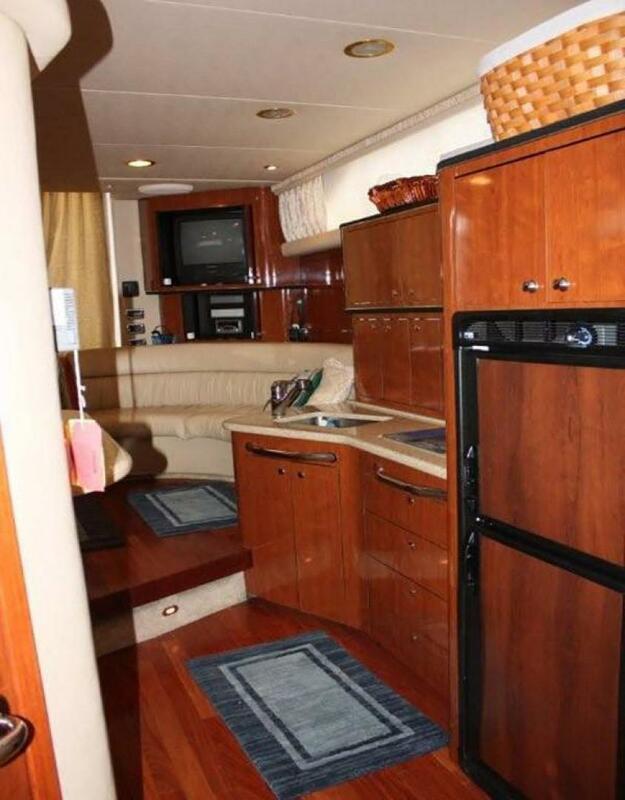 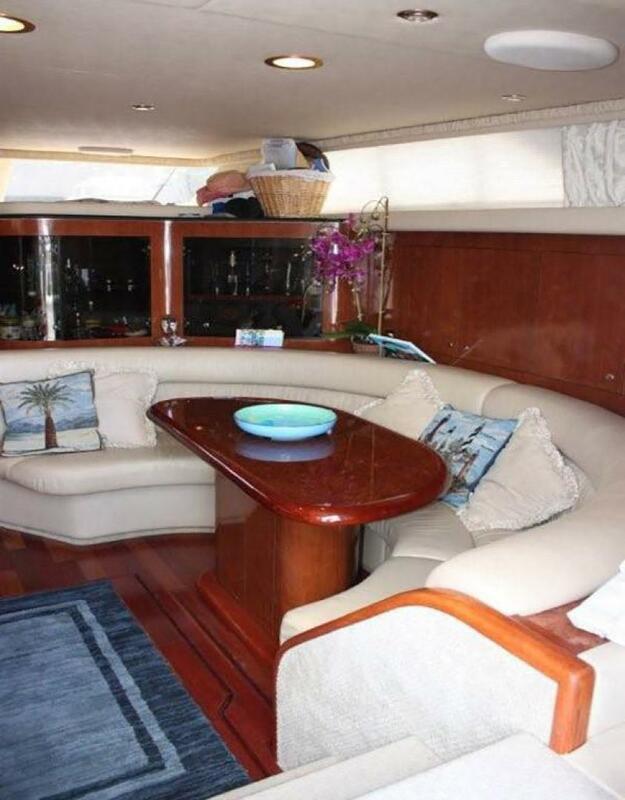 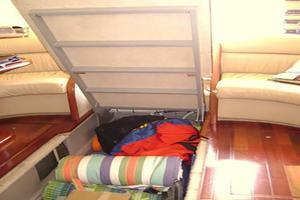 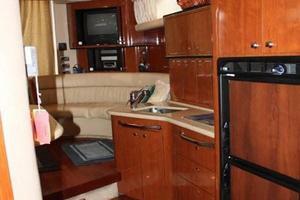 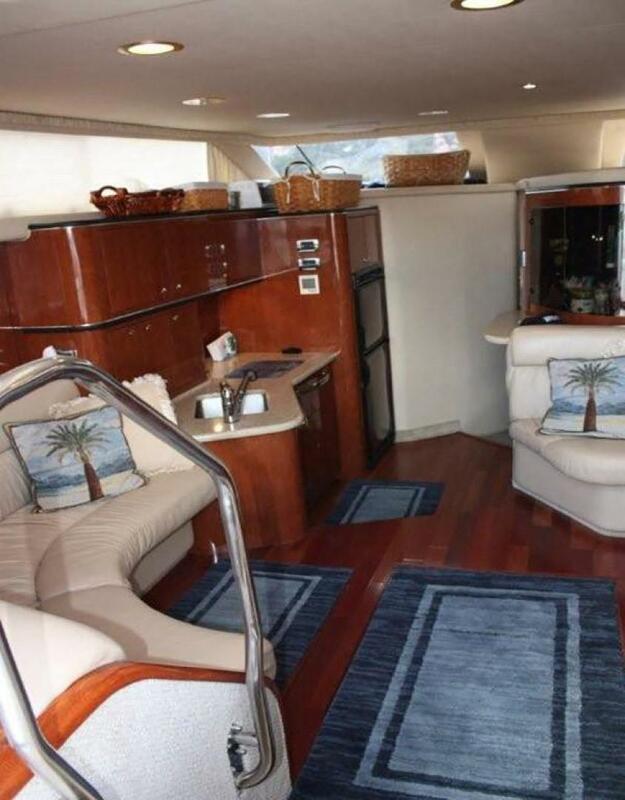 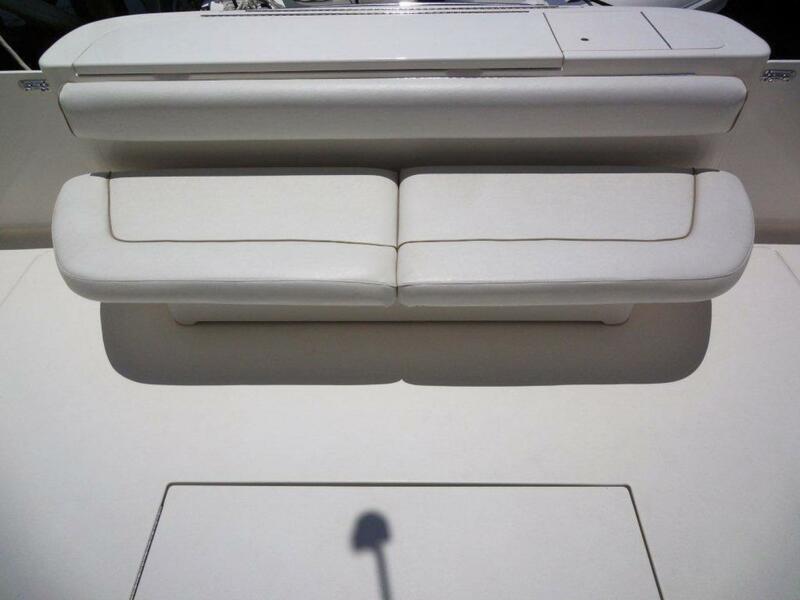 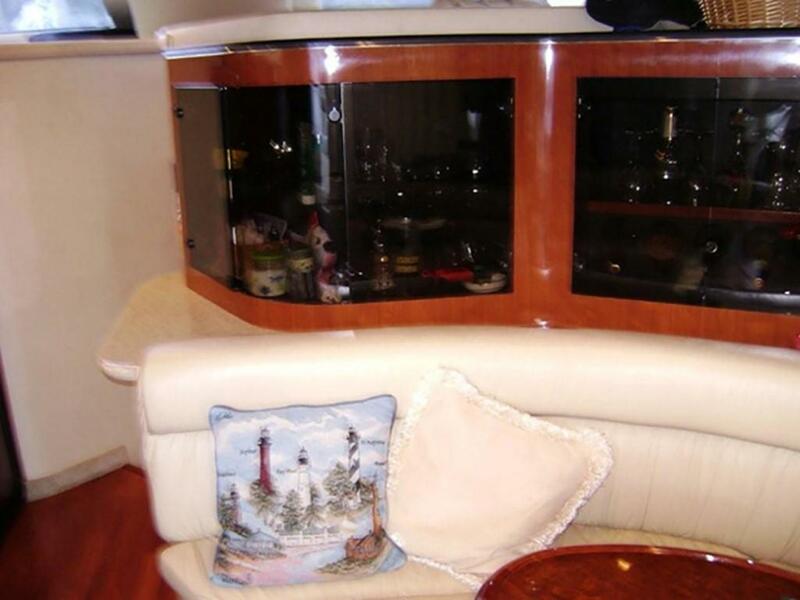 Has seating room in the salon and bridge the compares equally to much larger yachts. 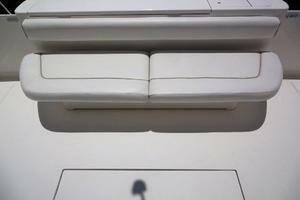 One of the best layouts ever in a sedan bridge. 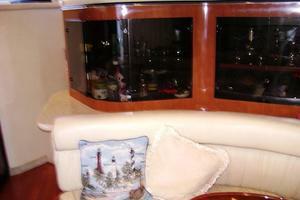 All books and records.